From John Hardy's Classic Chain collection come these amazing square earrings. 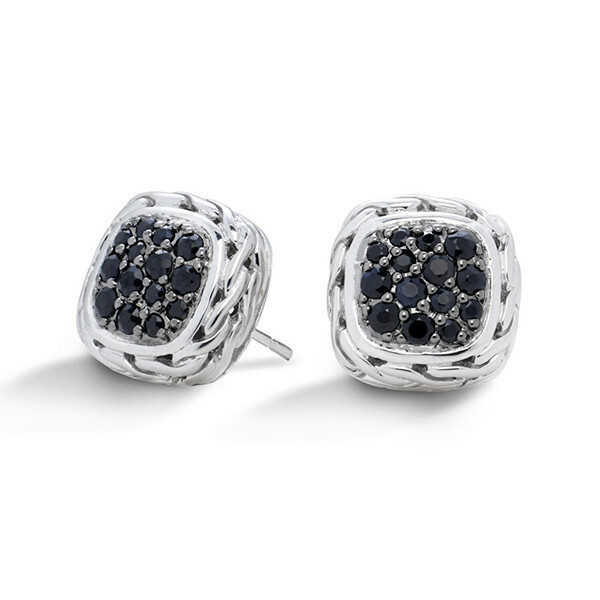 Using the classic chain motif, sterling silver creates a border around a square of lustrous black sapphires. Post backs will keep these earrings comfortably in your lobes. Amazingly simplistic, these John Hardy beauties can be matched to any outfit for a stylish look!